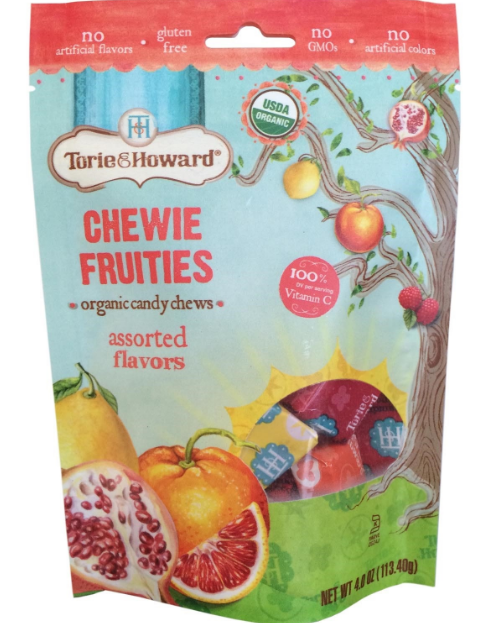 7 Kids and Us: Torie & Howard Organic Chewie Fruities! I have been talking recently a lot about my jump to organic/non GMO foods, and I have to admit, when it comes to candy, I still let my kids eat junk, because finding something REALLY good that is organic and non GMO is hard to find. 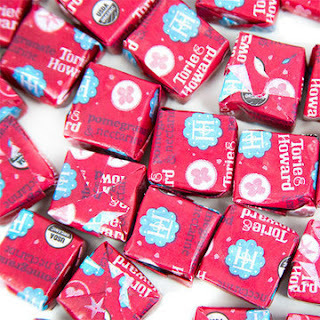 One of my kids favorite sweet treats is Starburst candy, they could eat it all day (and so can I!) so when Torie & Howard send me a box of their ORGANIC and NON GMO Chewie Fruities to try, we were all really excited! 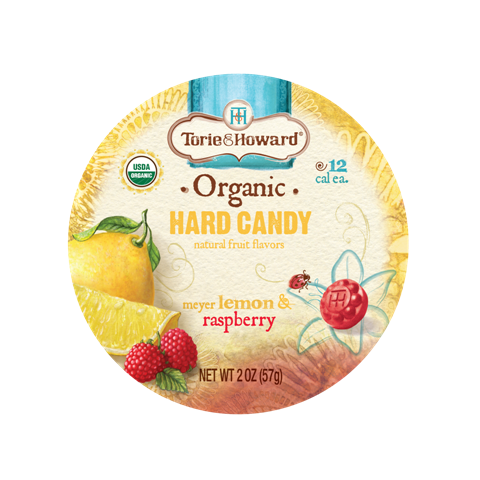 Chewie Fruities are available in three of the same sophisticated flavor duos of Torie & Howard’s organic, Non-GMO hard candy and are designed to deliver a burst of sweet and tart flavor, says Torie Burke, company co-founder. A serving of the candy provides the daily requirement of Vitamin C.
The Chewie Fruities are USDA organic and kosher certified and contain no GMOs, preservatives or artificial dyes. They also are free from major allergens, including soy, wheat, gluten, nuts, and dairy. So what did we think after trying the Chewie Fruities? The kids LOVE them, I think everyone's favorite is the Meyer Lemon and Raspberry. They are chewy like our other favorite candy, and I am SO super happy knowing they are organic and non GMO, and they are priced well at just $3.99 a bag! My personal favorite is the D'anjou Pear and Cinnamon, it's so random to find a pear flavored anything, and it's so delicious!